French and Spanish speakers will find the FPMT International Office News translated each month in the “Bienvenue” and “Bienvenidos” tabs on the FPMT homepage! Or you can have this translated into your native language by using our convenient translation facility located on the right-hand side of the page. 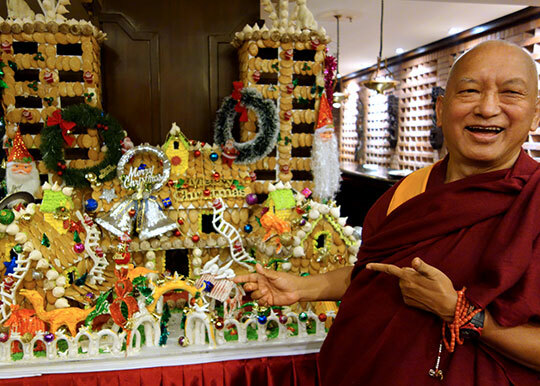 Lama Zopa Rinpoche in front of a Christmas-themed gingerbread monastery, Kopan Monastery, Nepal, December 2014.
with our best wishes for peace, happiness and joyous compassion through 2015 and beyond. May all the holy wishes of His Holiness the Dalai Lama, Lama Thubten Yeshe and Lama Zopa Rinpoche be fulfilled perfectly without delay. Lama Zopa Rinpoche, Great Stupa of Universal Compassion, Australia, October 2014. Rejoice: 2015 Calendar Coming from Liberation Prison Project! Lama Zopa Rinpoche teaching during the one-month Kopan course: “This life is so, so, so precious; your death is definite, it can come at any moment.” Kopan Monastery, Nepal, December 2014. “I tell people that the FPMT organization is here to help. I think it is so fortunate that we, the FPMT, are able to provide help at the time of death, because death is really a most difficult, most hard time. So the benefits provided by the organization to help at that time are so good. It’s very good to do, it helps people in the world very much, and especially students. In the world, especially in Western countries, I don’t think there are other organizations who put together all the ways to help with death, to help people who are dying. Of course those who have realizations, who have good heart, they don’t go to the lower realms, they have happy mind, they know where they’re going. But for most people there’s only suffering. Excerpted from Lama Zopa Rinpoche’s comments about FPMT’s Prayers for the Dead service, made while Rinpoche was visiting FPMT International Office, Portland, USA, in April 2014. Read the full advice. 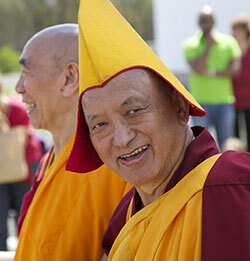 Find more advice from Rinpoche and how FPMT helps at the time of death. Lama Zopa Rinpoche at Kopan Monastery, Nepal, December 2014. More teaching dates in 2015 will be announced soon. Rinpoche Available Now – We are working to give you livestreaming and recordings of Rinpoche’s ongoing teachings. 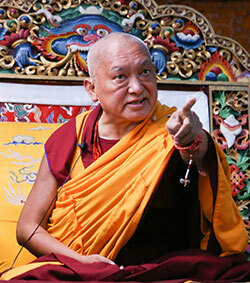 Find the most recent teachings on our new Rinpoche Available Now webpage! The new issue of Mandala magazine, January-March 2015, has been published! This issue features stories on the CPMT 2014 meeting that took place in September at the Great Stupa of Universal Compassion in Australia as well as teachings from Lama Yeshe and Lama Zopa Rinpoche on the purpose of FPMT. 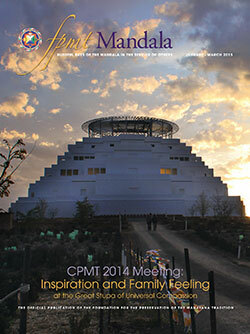 Mandala magazine is offered as a benefit of the Friends of FPMT program. If you’d like to receive Mandala, please consider joining our Friends program, which supports the education, web streaming, communications and other work of FPMT International Office. Recently, Lama Zopa Rinpoche checked what pujas could be done to help control and prevent this serious outbreak of Ebola, and requested Kopan Monastery and Khachoe Ghakyil Nunnery to offer three recitations of the Prajñaparamita; three extensive Medicine Buddha pujas; and one Drolma Yuldro puja. Rinpoche sponsored these pujas, the monastery and nunnery offered the tea, and the Sangha did not accept any offerings during the pujas – an extremely kind and precious gesture on their part. The pujas were done with strong prayers to prevent the spreading of the Ebola virus and for success in destroying the disease completely. Thanks to the Sangha at Kopan Monastery and Khachoe Ghakyil Nunnery for making these prayers for the benefit of the whole world. The offering of these pujas is an example of how Rinpoche uses every opportunity to benefit the world wherever there is a need. 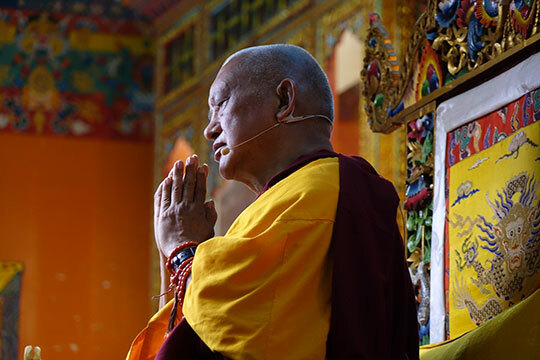 You can learn more about the beneficial monthly and yearly pujas offered at the request of Lama Zopa Rinpoche by keeping up with the Puja Fund News. Basic Program (BP) students who have completed their BP subject of “Middling Lam-rim” have a wonderful and unique opportunity to do their three-month lam-rim retreat during the summer of 2015 in Kopan Monastery in Nepal. The retreat is guided by BP teacher Ven. Fedor Stracke from July 2 to October 1. The AmazonSmile program will automatically donate 0.5% of your purchases to FPMT every time you shop on Amazon anywhere in the world. Click here for an easy way to sign up. The Foundation Store will be operating with limited staff from December 23 to January 2. We look forward to answering your emails as soon as we are able. All orders placed on or after December 22 will be promptly filled beginning on January 5, 2015. Thanks for your patience and understanding. Lama Zopa Rinpoche in Nepal, December 2014. Please find details about FPMT’s Five Pillars of Service in the FPMT Affiliates Area to help you develop each pillar at your center, project or service. We hope you saw FPMT Inc. board member Paula de Wijs-Koolkin’s update on the FPMT Advisory Council sent via the CPMT e-group. Read the article in the current print edition of Mandala magazine or find it together with other information about the FPMT Advisory Council in the FPMT Affiliates Area. In addition to the advice from Rinpoche mentioned above, further practical information and advice for FPMT hospice services and for centers, projects and services can be found in the Death and Dying Resources area of the FPMT Affiliates Area. 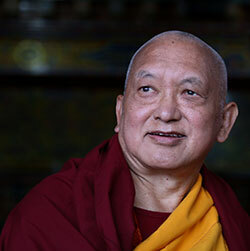 Interestingly, Lama Zopa Rinpoche recently asked whether FPMT hospice services were using the tools that he created for helping at the time of death: FPMT’s Prayers for the Dead service and the Liberation Box, Protection Tool for a Fortunate Rebirth. We encourage all centers, projects and services to make use of these! 2015 Calendar Coming from Liberation Prison Project! Liberation Prison Project is kindly mailing each FPMT center, project, service and study group their 2015 calendar.